OK, I'll admit it. I do not color. I. DO NOT. Color. Its hard for me. Maybe a mental block, probably my perfectionism rejecting the average-to-poor skills I possess for coloring. Whatever. But I HAD to have the Blendabilities. To color my accents. I don't think it really counts as coloring. However, that is why I got them. Yes, them. Several color sets. I could not resist the perfect coordination of jewels, the sparkle of almost every color I desired. I gush. But there it is. I gave in to the Blendabilities. Who knows, perhaps I will even color with them someday! ;-) Don't hold your breath. And on to today's cards. I am trying these darker card bases with a pop of color. Here I used Basic Grey and Coastal Cabana. 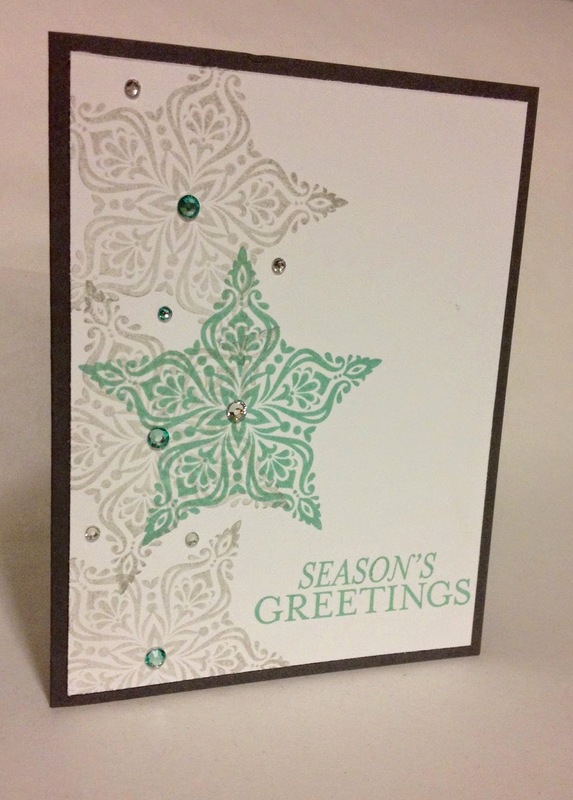 Some Basic Jewel Rhinestones add the bling to an otherwise pretty simple card. 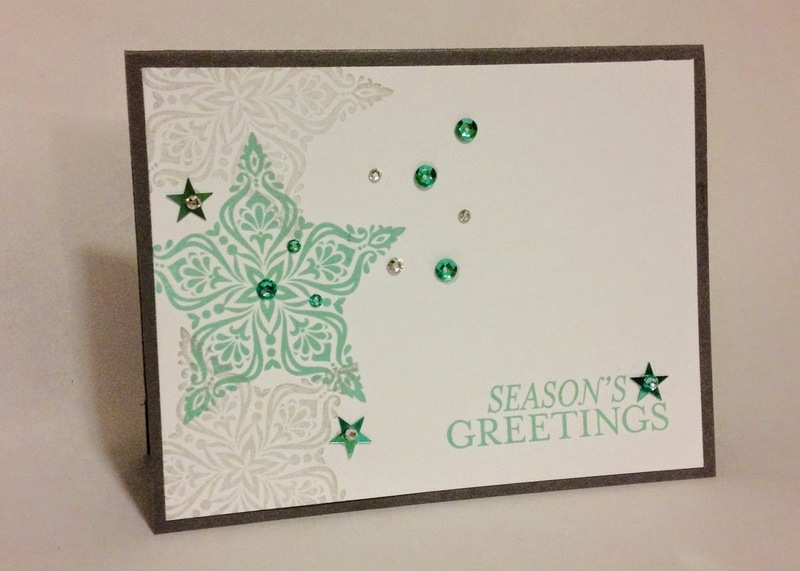 I did add some In-Color Sequins, but again today, a pretty clean and simple card. Order a Paper Pumpkin Prepaid Subscription! A new project, all supplies and photo instructions included, delivered to their door every month? It could quite possibly make you the Holiday Hero! !